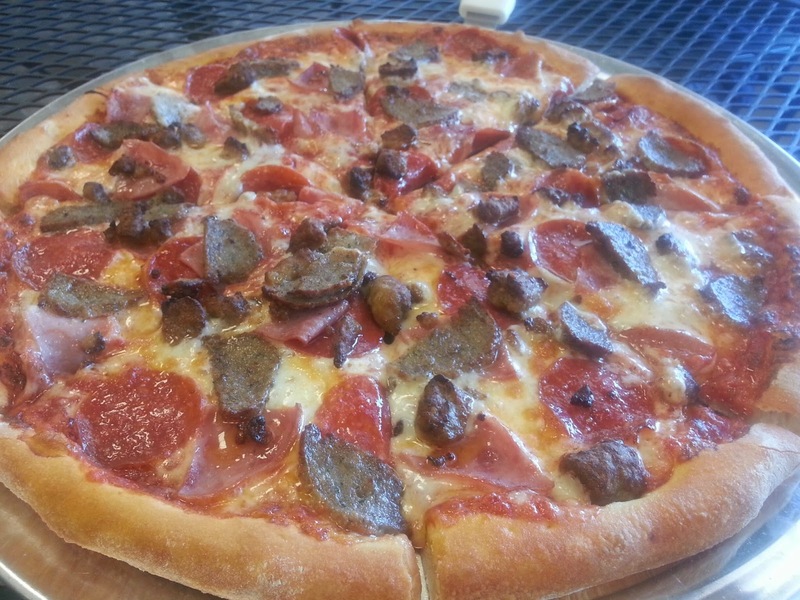 Last weekend we took a trip out to Mama Q’s Pizza in Mandarin. They are a new family owned restaurant in the area, so I was really excited to try them out! As you know, we love pizza! The restaurant is located on Old St. Augustine Rd in the Walmart Neighborhood Market shopping center. We went in, ordered at the counter, and took a seat. 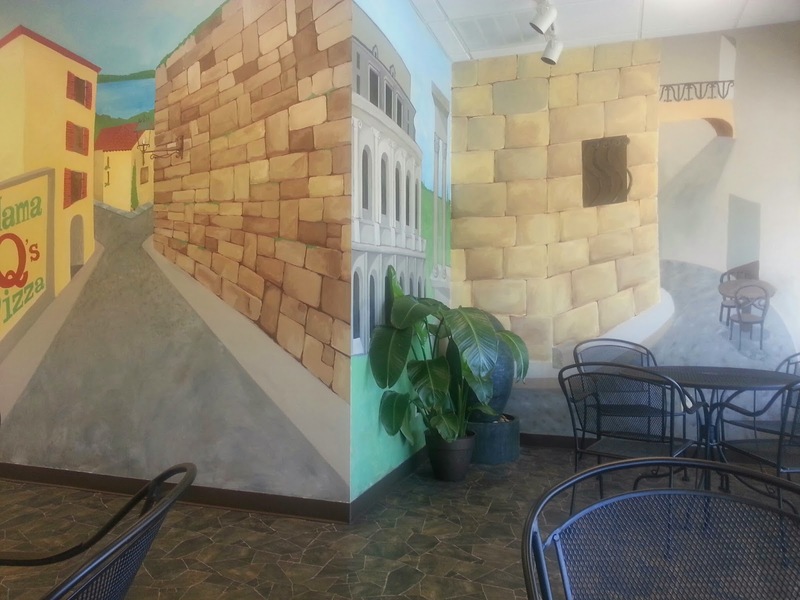 The décor was great, I loved the walls! They were painted beautifully! We ordered the Meteor pizza, which had Mama’s simmered tomato sauce, pepperoni, ham, sliced meatballs, and Italian Sausage. For starters, I really liked the sauce. It had a great taste and there was just the right amount on the pizza. The toppings were plentiful and tasted fresh. I have been known to give Ivan some of my toppings when they aren’t that good or when there are too many for my tastes…well I ate them all!! I even ate the crust, which never happens! The crust was very soft and had great flavor. 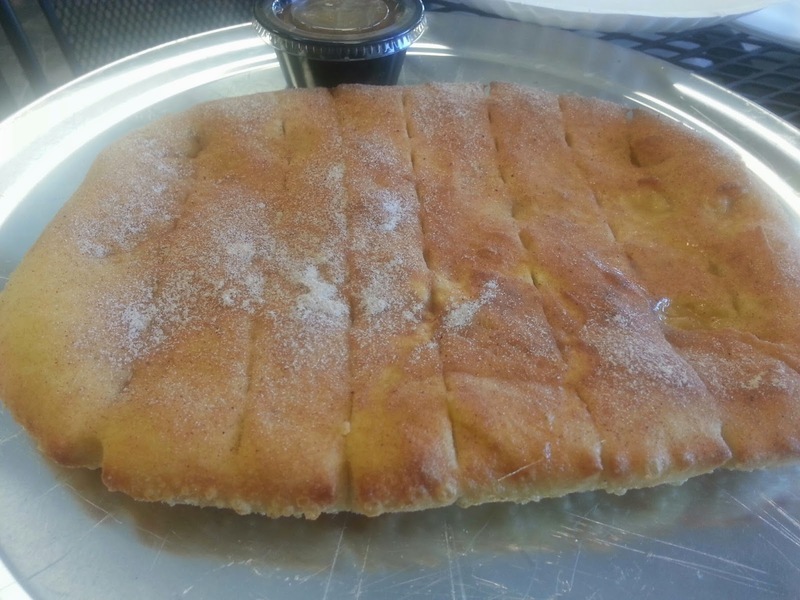 We also ordered some Cinnamon-Maple Sticks for dessert. When they came out, I knew that we were in for a treat! They come with a side of smooth maple icing, and let me tell you, that icing is to die for! It is thick and loaded with flavor! Ivan was the first one to taste the sticks and icing together. He looked at me and said, “Jill you are going to love this!” And yes, he was very right! I can think of many different things that I want to put that icing on! I was really hoping to meet the owner RJ while we were there. Luckily he came in right as we were finishing up our meal. We talked a little bit and he was very charming! I love local, small businesses. And Mama Q’s fits that bill perfectly. If you live or work in the area, you need to try them out! 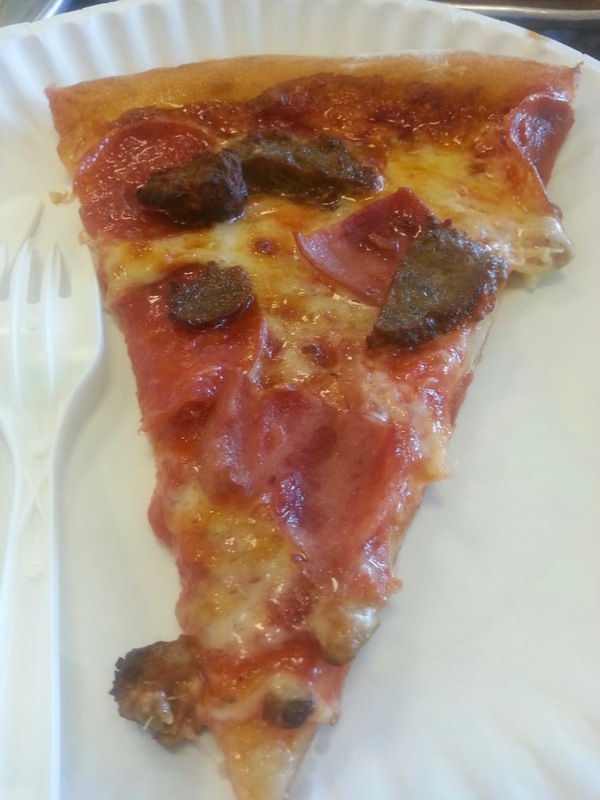 RJ told me that they just started selling slices, so that would be perfect for lunch. They only take a few minutes to come out of the oven, so you can get back to work and still enjoy a delicious slice (or 2!) of pizza!! They also deliver, so if you live in the area you really have no excuse not to order!